This entry was posted on July 31, 2012 at 1:48 pm and is filed under Action, Adventure, Comedy, Crime with tags 1988. You can follow any responses to this entry through the RSS 2.0 feed. You can leave a response, or trackback from your own site. Cheers man. It’s a little gem of film. I grew up watching this. I loved it then and still do. I know they brought out a couple of sequels after this with Christopher McDonald in DeNiro’s role but I wasnt aware of Bobby reprising the role. I think he’s probably a bit old for it now but you never know. It would be nice for him to start getting back in the game again. At least they’re aware that a good script is an absolute requirement. It’s an interesting idea but theyre probably better leaving it alone. This is a great movie. One of my personal favorites. The chemistry between Deniro and Grodin is fantastic. Fantastic! You kind of hinted around at this being one of DeNiro’s better performances… I’ll just come right out and say it. Jack Walsh is one of his best jobs ever. That scene where they go to visit his ex wife, and he runs into his daughter is one of his best scenes ever. He’s awesome in this movie. Great choice. I love this flick. Glad to see you’re onboard with this one Fogs. I love it also. 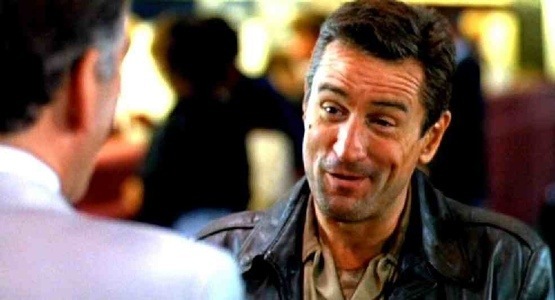 DeNiro gets a real chance to convey all sorts of emotions (the scene you mention being a prime example of one) and he takes that chance and runs with it. Fantastic indeed. I would like to see it appear in your MTESS feature. It deserves it. It’s been on tv the last few nights. ITV4 I think. I stumbled across it and got right into it again. It’s great stuff. Keep your peeled man, it’s definitely worth it. I do like a good action comedy, I should check this one out. You haven’t seen this Ruth? Aww man! It’s an absolute must. You have to see this at once. There you are Ruth. Two wholehearted recommendations for you. You MUST see this. And you’re right Michael, where is that damn Blu-Ray? I only came across it again because it was on Tv. This one really took me by surprise because even though I knew it was going to be funny, I never thought that it would actually end up touching me like it did either. Grodin and De Niro have perfect chemistry and you can only wish that De Niro had better performances like this today, but I guess we can always remember and love what he does here with Jack Walsh. Great flick and great review Mark. Thanks Dan. I totally agree. This film has it all and it’s one of DeNiro’s most underrated performances. We all know he has range and ability but with this character he gets a chance to show it all at once. I love 48 HRS. and LETHAL WEAPON and a crapload of other buddy action movies, but this is the absolute pinnacle of the genre. I consider this one of the few films that is close to filmmaking perfection. Everything about it just clicks. The performances, which include an amazing cast, the soundtrack, the pacing, the humor, the filming and cinematography, the screenplay and the efficient, taut direction. It’s a smart action movie that has no pretensions about it. I couldn’t agree more Bruce. Everything does just click. I have yet to see a more seamless blend of genres. This film has a little bit of it all. 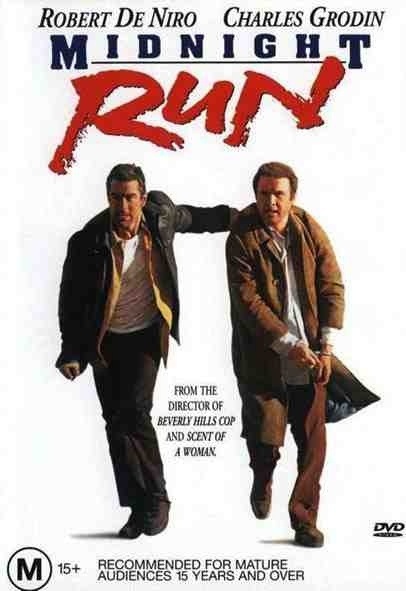 DeNiro and Grodin are a great pairing. If only they made these type of movies now. Great post. Funny that you mention “Planes, trains and automobiles”; that one came to mind while reading your review. I love some DeNiro (he is always perfect) but I don’t know about Charles Grodin. I think I’ve only seen him in the Beethoven films and he’s kinda irritating, although it seems to fit his character here, I guess. That’s exactly it Fernando. Grodin is highly irritating but it’s perfectly played. Put him next to the masterclass of DeNiro and it’s nothing but pure entertainment. It’s one if the best unlikely pairings I’ve ever seen. A fantastic movie. This movie is a lot of fun. I’m glad you liked it. I love it Morgan. I’d seen it plenty of times when I was younger but hadn’t seen it in years. After a rewatch the other night, I just had to share with people. I know Andy, it’s really weird how many people love this film, yet forget all about it. I’m so glad I came across it again. It was as good as I remember. I really love this movie. So consistently funny and entertaining. Definitely one I’ve seen a few times and am proud to own. Same here Tyler. I was in my element when it came on TV a few nights ago. I hadn’t seen it in a long time and it was as good as I remember it. It’s one of my favourite DeNiro performances as well. This one is already on my need-to-watch-one-day list. I’ve heard it mentioned so many times. Your write-up is another vouch for it, who knows, it might become the tipping point. Now just to find it somewhere…. I’ll check with my library. This is a must Jessica. It was a real highlight from the 80’s and one of DeNiro’s most underrated performances. For pure enjoyment, you can’t find much better than this. I love it. This film is one of the greats. Good point on solid cast too. Excellent writeup. ” Let me ask you somethin’. Hehe. Great quote. Thanks for stopping by. It certainly is a brilliant film. I seen again a few nights back and I didn’t realise how much I’d missed it. I love this film! Every time one of L.A.’s revival theaters screens it, if at all possible, I’m there. De Niro and Grodin turned out to be one of the great pairings on film. Great look at this one, Mark. Well done. Thanks again Michael. I adore this also. You’re spot on, Grodin and DeNiro are probably the finest mid-matched pair I’ve ever seen together. Strong statement I know, but that’s how much I love this film.